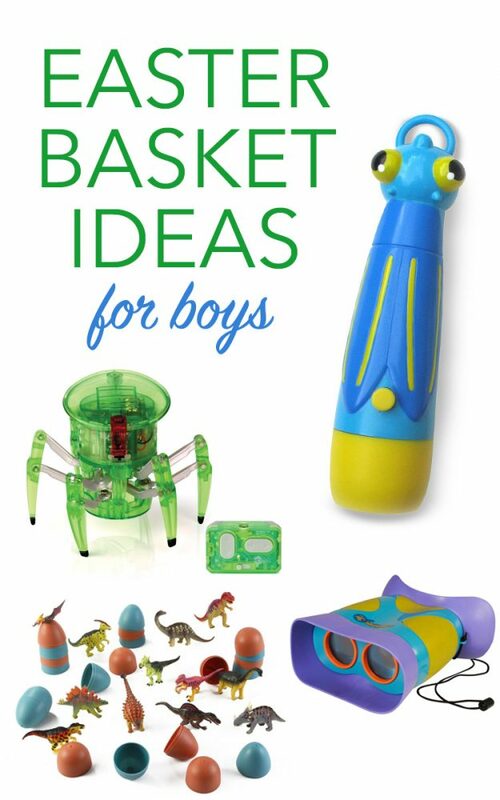 Need some help finding fun things for little boys Easter baskets? While all of these are perfectly suitable for girls, too – I tried to find things I thought my grandsons would love. Hopefully some of these ideas will help you solve the “what can I put in their Easter baskets?” dilemma. Puzzles are the perfect addition to his basket this year. They help teach logic skills, help them learn to solve problems on their own, and also practice quiet play time. 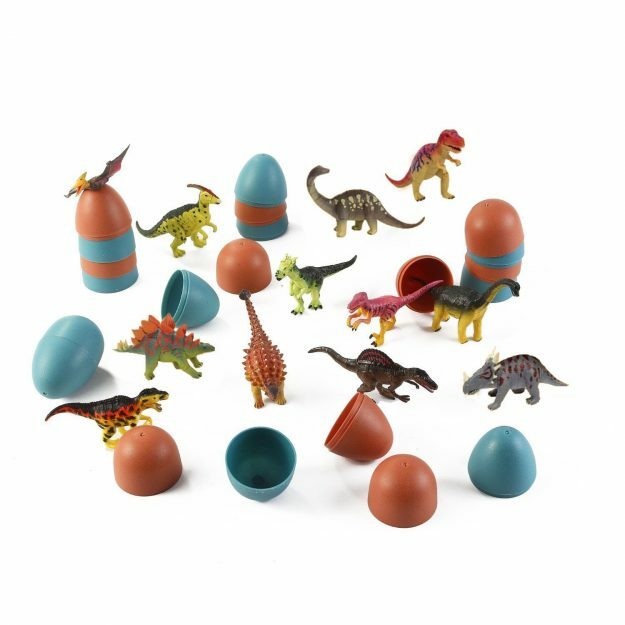 This set of dinosaur puzzles is a cute way to not only help them learn, but the egg shape keeps it in the Easter theme. 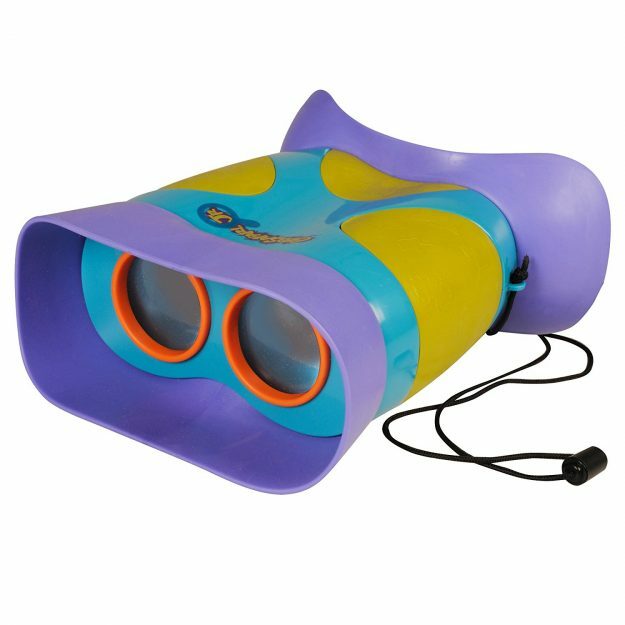 From bird watching to just scoping out what’s going on across the playground, boys always seem to love walkie talkies. But, since little boys seem to be a little tough on toys, these durable ones are kinda perfect. Bonus: They’re focus free so it’s easier for them to use. If your little one has a sense of adventure, a flashlight is the perfect addition for him to light the way. walkie talkies makes for a cute flashlight – but then I always expect adorable things from Doug & Melissa. No matter if he’s just camping out in the living room, or trekking outdoors to catch fireflies, he’ll love to lug around “his” flashlight. Speaking of catching fireflies – there’s just something inside of little boys that has to catch bugs, huh? Instead of keeping them in a jar, they can carry them around on their wrist with the walkie talkies. It pops open to let them carry around their little “friend” for a bit and let them go. And, it’s a much friendlier option for showing off their fun finds to mom, too! Have you ever seen a walkie talkies? They really shoot the sweet stuff – or in this case, mini-marshmallows. Although it’s small, this little marshmallow shooter can send them up to 30 ft. away. Pretty cool stuff! It even comes with a small bag of marshmallows to get them started. Can you hear me now? An all time favorite among boys, walkie talkies are still seriously cool. Well, maybe in a retro kinda way, but cool nonetheless. This set from Nerf can reach up to 1000 ft., which is close enough that he can talk to his best friend next door, or sibling down the hall. They’re especially popular with 5-7 year olds, who are probably still too young for a cell phone. Looking for something a little more low-tech? Bananagrams is a fun word based game, but it’s great for travel since it comes in a fun zipper bag. Or course, I’ll keep your secret that you’re trying to help him increase his vocabulary and spelling skills. He’ll be having too much fun to even realize it! Yo-yo‘s date back to Roman times as one of the oldest toys on earth. They are even depicted on urns from ancient Greece. Along with the Romans, they were also played with by children of the Mayans, found in China, and Egyptians and several other cultures. It’s definitely one of those toys that has stood the test of time. And there’s a reason for that… it’s just plain fun to learn how to walk the dog! Let’s fast forward now, to a little something more motorized. This tiny remote control car is a pint sized version of the popular counterparts. A micro car is perfect for adding into their stocking. Of course, remote controlled cars are cool enough on their own, but when they come this little it kicks it up just a notch. Looking for ideas for little girls? I’ve also shared my Top 10 Easter Basket Ideas for Little Girls.